Tooth decay is a common problem among children, but it can be prevented in many cases with fluoride. Fluoride is a mineral that occurs naturally in water. It has been shown to prevent cavities and to reverse the early signs of tooth decay. Fluoride strengthens teeth to help them resist acid attacks and remineralizes areas that have already been attacked by acid. Fluoride can come in several forms. Topical forms include fluoride toothpastes, rinses, and varnish applied by a dentist. Topical fluoride treatments strengthen teeth to help them resist decay. Systemic fluoride is ingested and incorporated into teeth as they are forming. Sources of systemic fluoride include fluoridated water and supplements. 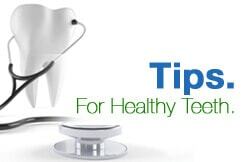 Systemic fluoride can also help teeth topically because fluoride is found in saliva that bathes the teeth. Most people get fluoride from local water supplies that have been fluoridated. This is an inexpensive and effective way to reduce rates of tooth decay in children and adults. If you get your water from a local water supplier, you can call your health department to find out if it is fluoridated. If you get water from a private well, it will need to be tested in a laboratory to determine the fluoride content. Is Your Child Getting Enough Fluoride? In order to receive the best protection from tooth decay, it is important to get fluoride from a combination of both topical and systemic sources. Talk to your pediatric dentist to find out if your child is getting enough fluoride from all sources. If your local water supply is not fluoridated, your pediatric dentist may recommend fluoride supplements for your child. These can take the form of tablets, drops, or lozenges that are only available by prescription. Dietary fluoride supplements are intended for children between 6 months and 16 years of age. Your pediatric dentist will prescribe the correct dosage based on the level of fluoride in your drinking water and your child’s age. To get the maximum benefit, fluoride supplements should begin to be used at 6 months of age and continue until the age of 16. Dietary fluoride supplements are not recommended for children who live in areas with fluoridated water. If your area does not have fluoridated water, your child may still be getting fluoride from water at school or daycare, bottled water, and processed foods and beverages made with fluoridated water. If you are concerned about tooth decay and want to make sure your child is getting enough fluoride, schedule an appointment at CT Pediatric Dentistry. We will discuss whether or not your local water supply is fluoridated, how much fluoride your child is getting from other sources, and your child’s risk of developing cavities. If your child is not getting enough fluoride, we may prescribe dietary fluoride supplements. Contact CT Pediatric Dentistry today to schedule an appointment.